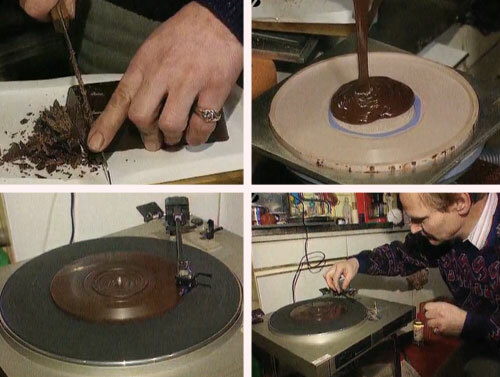 Peter Lardong, from Berlin, Germany, was the first man to produce a playable chocolate record that could be listened to and eaten once you got bored with it. 67-year-old Lardong invented his world famous chocolate records after he was fired from a local brewery. 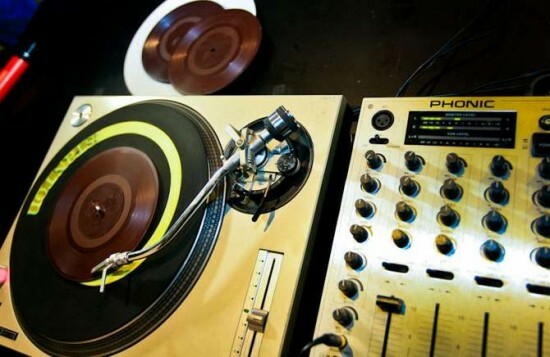 He tried using cheese, butter, beer, cola and sausages as materials for his unusual records, but none of them worked very well, but chocolate was a whole other matter. He uses cocoa, cocoa butter and lecithin to make his special chocolate, heats it in on the stove and pours it in specially made silicone molds. Once the disk is hard enough to be played, you can play it up to twelve times, and then it. I’m not sure you’ll be able to use the record player’s stylus after playing a chocolate record, but hey, at least you’ll have listened to the sweetest music on Earth. Apparently, the chocolate record isn’t the only brilliant thing Peter Lardong has invented, in fact he’s been a regular at Berlin’s Patent Office for the last 30 years. Creative and Cool Ways To Reuse Old Towels.